The Russian foreign minister on Monday said that Western states are demonstrating a lack of negotiability by their stance on the Syrian crisis, as their actions on the ground are in violation of UNSC Resolution 2401. "The major clause of this resolution requires that all — I emphasize, all — the parties to the Syrian conflict agree on a ceasefire in order to provide at least a 30-day pause for delivery of humanitarian aid," Lavrov said at a press conference in Namibia, adding that Damascus is being pressured to stop its military operation despite it targeting al-Nusra Front militants who are not covered by the truce regime. He went on to say Russia has mounting evidence that "Western partners, especially the United States, would like to take the heat off al-Nusra Front, which has now changed its name — but this does not mean it has changed its nature — and save it, in case they decide to return to plan 'B,' which is to change the regime in Damascus." The foreign minister stressed that al-Nusra Front is a terrorist group, adding that Russian and Syrian efforts to battle it are in line with the requirements of the ceasefire regime settled by the UNSC resolution. 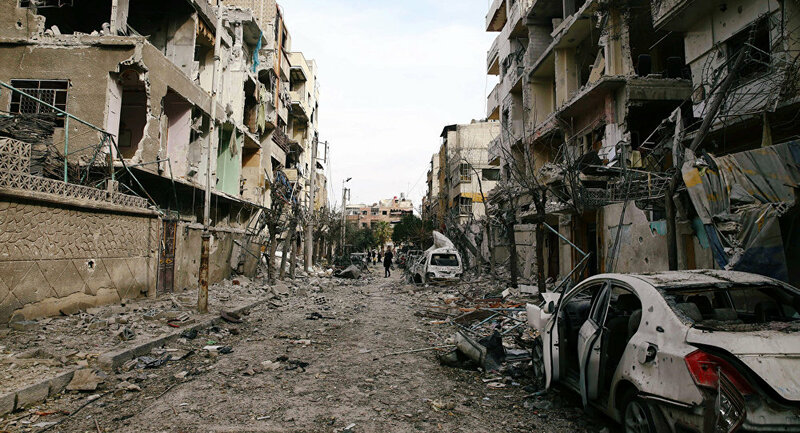 Resolution 2401, adopted February 24, urges all parties to the conflict to immediately stop all clashes and adhere to a long-term humanitarian ceasefire for at least 30 days across the entirety of Syrian territory in order to ensure the safe and unhindered delivery of humanitarian aid supplies as well as the medical evacuation of injured people. The resolution stipulates, though, that the cessation of hostilities does not apply to military operations against Daesh, al-Qaeda, Nusra Front "and all other individuals, groups, undertakings and entities associated with terrorist groups, as designated by the Council." 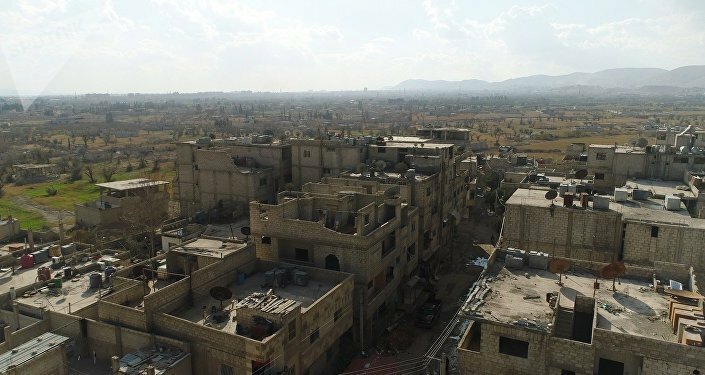 The al-Nusra militants, who have entrenched themselves in East Ghouta east of the Syrian capital along with other terrorists, have been violating the ceasefire by shelling Damascus neighborhoods and preventing civilians from leaving the area.